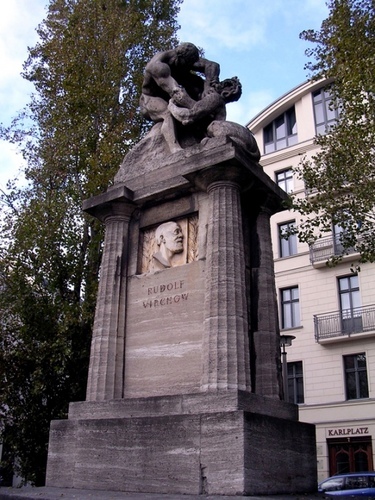 A "muscular limestone statue (1910) honors the nineteenth-century pathologist, archaeologist, politician and public-health reformer"1 Rudolf Virchow exactly in the midst of Karlplatz, in Berlin. 1. B.Ladd, The Companion Guide to Berlin, Boydell & Brewer, Berlin 2004, pp. 183-4.